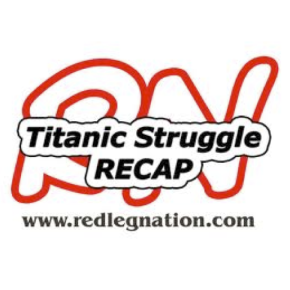 Titanic Struggle Recap: Sometimes baseball is fun. Tonight, Reds baseball was fun. –Strong start by John Lamb, who went seven innings, allowing just one run on six hits. Plus, he looks like half the guys I went to high school with, so that’s a benefit. There was a scary moment in the fourth inning, when Lamb was hit by a line drive on the hip. Fortunately — especially since he’s had so many injury issues this year — he kept pitching, and pitching well. –I really don’t want to alarm anyone, but 25-year-old Billy Hamilton is starting to be kinda sorta productive. We already know about his brilliant defense and his spectacular base-running. But he’s hitting a little bit, all of a sudden (as Thom might say). Tonight, Billy went 3-5 with two doubles, 2 RBI, and a run scored. His slash line for the season is now .255/.300/.376. Those numbers aren’t good, I concede. But when you combine them with his other assets, I submit that they are acceptable. If Billy Hamilton can post an OBP north of .300, you won’t hear me complain about him. 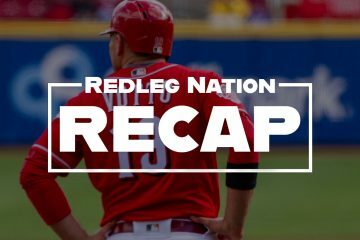 –Joey Votto reached base three times again. He’s turning back into Joey Votto. I’m getting excited. –In the eighth, Jay Bruce hit his 11th home run of the season. Honestly, it looked like he barely swung at the pitch that he hit out. I love that guy, he’s been a great Red, and I’m going to miss him when he’s gone. And he’ll probably be gone very soon. –Ross Ohlendorf has an awesome windup and he only allowed a single hit (and no runs!) in his one inning of work. –Nothing to see here. The Reds won. This is a great night. –Go Reds. We have to enjoy these victories when we can get them. –The Reds were a complete disaster last night. 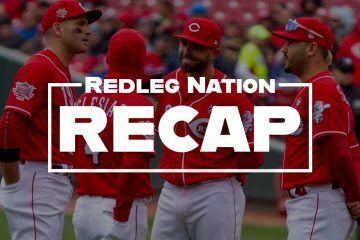 The Reds have been a complete disaster all season long. Yet here we are, watching them play again, rooting for them to do well and happy when they collect a win. This must be some type of mental disorder. The Reds have won 3 of their last 5….that projects out to 97 wins over 162. As Lou Brown once said, “It’s starting to come together, Pepper…It’s starting to come together. “…we’ll ignore the losing 16 of 20. Tonight was why they play the games for real on a baseball diamond and not just virtually on paper or inside a computer. Didn’t get to catch any of the game, was shocked that Lamb picked Coors Field to pitch as well as he must have. I was shocked too. I expected a repeat of Tuesday night. Love it when a Reds player proves me wrong like that. The craziest thing about it is that he got tons of fly ball outs, or so it seemed. That’s a recipe for disaster at Coors usually. Tonight’s best side story seems to be that Bryan Price is keeping the pressure on his bosses concerning what sort of pitching staff they will provide him with. Price did not hold back from “naming names”, i.e Stephenson and Reed. “”I think there are a lot of things that are going to happen in this month,” Price said. “I think we’re going to have to take a hard look at what our options are at Triple-A, and look hard at Stephenson and Reed and their development and how far they are in their development and how close they are to being ready”. He also said he likes Daniel Wright and that they need to decide whether his best role for the team is as a starter or as a reliever. I really doubt for a number of reasons that Price is the guy to lead the Reds to contention. However I very much like that apparently he has decided not to go quietly. How much longer is Bailey going to be sidelined? It’s probably a fool’s errand to even try to guess when these guys will actually come back, seeing as how something always seems to go wrong when they get so close. The Reds are going so slowly with Homer at this point (now doing long toss) that they aren’t even projecting a date of return (Price did say July at best once). Homer Bailey for 2017. Not a single reason why he should play a major league game this year. Not only that but if he misses the entire season insurance will pick up a good portion of his salary. After Bailey’s had the setback, there was consultation between Dr. Kremchek and at least one other top level elbow surgeon concerning Bailey’s situation. Although they haven’t specifically stated as much, it is pretty clear that Bailey’s rehab program was subsequently realigned to a soft target of having him on an MLB mound at about 14 months post operative which is the program followed by a number of the Docs for pitchers returning from TJ. That works out to midish July at the earliest for him. DAN, where’s the source about Bailey’s insurance? I think Yu Darvish had his TJ surgery a couple of months before Homer and just came back last weekend so everything is pretty much going as expected. Not a fan of Price but he has resilience. Billy Hamilton hasn’t gotten really hot until recently but the improvement in his hitting has been gradually going on since April 30, when he had a 3 hit night. In May he hit .259/.294/.358. There’s been a change in his approach – in terms of hitting more ground balls and low line drives, hitting more the other way, chasing less – for more than a month. He did have a very hot streak before the All Star break his rookie year, but that was based on pulling the ball and sent him down the wrong path. If he can sustain what he’s doing now, it changes the Reds offense. A nice win plus a recap fro Chad. I’m enjoying it. The Reds winning 2 games in a series in at Coors (with one more to play yet) is a rare thing in recent years. I think you’d have to go back a ways to find the last time it happened. Yep. When Jay Bruce is on, most of his HRs look that way. One of the sweetest swings I’ve ever seen. His line now at .271/.321/.881. His career line at 249/.319/.785. Yes he’ll slump at some point but everyone thought his prime was over when it wasn’t. He played on a reconstructed ankle in 2014 (huge mistake) and spent 2015 getting rid of the bad habits he’d developed. I’m going to miss him more than I’ve missed anyone since they traded Frank Robinson. Unless of course they rethink along the lines Steve has suggested here and roll him over for 3-4 years. Overdue thinking by the asleep at the wheel GM. The time to do this for a great discount was the offseason given his performance last year. Now as you note he is on to career numbers. OK, I will say it again, he has a 40 HR season in him. Had they signed him to that extension, they could still trade him this year or next prior to 5/10. And if this is his 40 HR year, the year I have been saying he will put it all together, you get extra trinkets when you trade him. Couple of points here. This is what we were looking for this year. Glimpses that our young pitchers are starting to get it. That they will be a strength going forward. We have seen some of that from both Finnegan and Lamb. We will see about Strally and Adelman but think they have found a home going forward. I also like Price more than most and also noticed he help Jockettys feet to the fire yesterday. We will see Stephenson and Reed soon I hope. Don’t know exactly when dates give us Super 2 relief… especially with Stephenson. For the life of me… UI don’t see what the rush is to trade Bruce. Guy played hurt and was bad. On a team with no offense you want to get rid of this guy? Not like he is 35 years old. This team will look way different in 4 weeks. Plus I think Hamilton has really improved his approach. He is young and got brought up too early.. Now he is starting to get it. I agree, although I don’t believe Price’s quotes about Stephenson and Reed reflect any need to hold Jocketty’s feet to the fire. I think the plan all along has been to promote Stephenson and Reed once the “Super 2” arbitration issue is safely behind them. Winker and Peraza are also coming soon, and in Peraza’s case only when the “years-of-control” issue is behind him. What didn’t go according to plan, as you note, is the array of injuries to the pitchers. That had a cascading effect to the point where the bullpen was AAA at best. When Stephenson, Reed, Desclafani, Lorenzen and maybe Bailey and Iglesias get back, we will see what this team really can be. It will certainly be a lot better team than we’ve seen so far. Lorenzen was also talked about yesterday but in a different conversation. He is being prepped to return as a reliever, at least for the remainder of this season. From what I gather, he is actually throwing off a mound in extended spring training under either real game or simulated game conditions and will go immediately to a rehab assignment when extended ST ends in about 10 days. I think they are projecting Lorenzen with the Reds in early July, probably NLT the AllStar break. Iggy is set to throw a 40 pitch bullpen today, Thursday, at the ExST site. Meant say add just now that given Iggy’s known past in Cuba as a reliever, I would not be surprised to see him used out of the pen when he comes back. As with Lorenzen, that wouldn’t mean this was definitively his long term role, just the safest and quickest way to get him back into the mix. @ Wizeman…Bruce wasn’t hurt last year. i know… but think he was working with bad habits… not unlike votto when he first came back from knee issues. just my thought. think we should extend him. agreed. Bruce may not have been hurt but he was not healthy like the 4 year string that we saw pre injury. Huge Jay Bruce fan but I’m not buying that he fell into bad habits leftover from the injury. He was flaming hot for over a month going into the break. His horribly cold, cold-streak hit him afterwards. This suggests to me that if he fell into bad habits, they didn’t have to do with his knee. That being unless his knee or something else was bothering him later in the season. John Lamb is David Spade with long hair. An enjoyable, entertaining baseball game. So nice. Man, so help me, I love good pitching. Marty was getting pretty fired up quickly on Cingrani after the throwing error, but I can’t say I blame him… would have been terrible to see a well played game go down the tubes. Has anyone looked at the Red Sox regular’s OBP lately? No wonder they are scoring so many runs. No doubt. Braddley’s hitting streak ends, Bogaerts pick up right behind him in the 20’s, and Mookie is playing HR derby out there. Trade partner for a pitching rich organization like the Reds? Nice to see Hamilton continuing to develop in a positive direction. Nice to see Votto looking more confident. Nice to see Cozart sustain his good start for more than two months (welcome back). Nice to see Bruce looking like the Bruce we always hope for. I’ll admit I’m hoping he gets extended. This team needs offense too and trading Cozart and Bruce will be steps backward in that regard. Look at the power of optimism – a couple of wins in three nights and I’m excited about the Reds future again. Nice win for the Reds. agree with you about hamilton and bruce. think cozart will go because peraza seems to be ready to go. A question about the rules of baseball. When bunting, does the batter actually have to move or “swing” the bat to swing and miss or does just showing a bunt and keeping it there count as a strike if no contact is made? I think it is the 2nd choice but I wanted to make sure. This is all referring to Lamb’s AB where he showed bunt and struck out swinging. Oh ok. That’s what I thought it was, I just wasn’t sure. Thanks! I expect the Reds to play at or above 500 after the break.Once all get up here and are healthy we will have something to build on for next year.Lamb last night and Finnegan in LA showed what they can do.It all starts with throwing strikes and gaining confidence once you see the results.Great comeback from a beat down the night before.Go Reds.One comment about the OBP of the Red Sox and its because they teach that at all levels of the minors.They take a lot of pitches and their games are almost always way past 3 hours. The Red Sox scoring is insane! The Cubs aren’t hitting right now but usually they’re the same way. Laying off balls…fouling off pitcher’s strikes and hitting everything else hard! The Reds just have too many swing and miss guys or guys like Cozart & BP that just don’t take many pitches? That’s why I really want the Reds to get this Nick Senzel kid! Some scouts seem to think he doesn’t have a huge ceiling but a 22 year old Ben Zobrist would be a huge addition to the Reds. If Votto gets it back and combine that with 2-3 other strong obp guys and subtract some of the hackers then the other guys might fall in line? He’s had peaks like this before. Paint me skeptical! And his recent surge has been almost entirely driven by playing in Milwaukee and Denver. Unfortunately the same is true for Votto. The Old Cossack is hoping on all cylinders that Votto has turned the corner but until he proves it in a legitimate venue, skepticism abounds for both Hamilton and Votto. Yes, he’s hitting more line drives and more ground balls, and far fewer fly balls. That’s a good thing for Billy’s profile upon first glance. Unfortunately for Billy, the infield playing him in all the time all but negates his speed. He’s batting .304 on ground balls, which is tied for 26th out of 174 qualified batters. Someone with Billy’s speed should be much higher on a list like that. And most of those grounders are going through the infield. Billy has TWO infield hits this year. Last year he had 18. Year before he had 19. Maybe it is variance, but I really feel like the infields playing him in takes away any chance he has of beating out a hit. He has to actually get it through to the OF. Yeah, but the drawn-in infields produce big holes for him to hit through. They played him in last year, too, so one explanation is that he is hitting sharper grounders than last year, so more of them are getting through. I think he is bunting much less often this year, too, even if he still shows bunt but draws the bat back. Billy’s swing is a lot flatter and shorter now than it has ever been. He was unusually raw as an amateur, coming from a small town in Mississippi and not playing much summer ball. Plus, he was rushed to the bigs, as a switch-hitter, so he does have an excuse to be a late developer. Billy would be a natural fit in Colorado.